PetFirst, the nation’s fastest growing pet insurance company, announced today its program with Safeway Inc., a Fortune 100 company and one of the largest food and drug retailers in the United States. In the exclusive program, PetFirst will showcase its pet insurance plans through Safeway’s Priority® Total Pet Care brand. Information on the pet insurance is available in all Safeway stores and online at http://www.prioritypetinsurance.com. Safeway customers can expect benefits such as next day coverage for accidents with illness coverage that begins on the 15th day; up to 90 percent reimbursement based on their actual vet bill as opposed to a fee schedule; and most importantly, coverage on hereditary, congenital, and breed-specific conditions through the Lifetime policy. In addition to these great benefits, Safeway customers who are members of the just for U® program will receive an immediate five percent discount on their pet insurance policy. Through this program, Safeway expands its Priority® Total Pet Care brand by adding pet insurance to their line of offerings, which currently includes a full assortment of pet food, treats and supplies at a great value.Offering pet insurance, which reimburses dog and cat owners up to 90 percent of their veterinary expenses, allows Safeway to provide products and services that encompass pet health and pet care. Pet insurance plans offered through the Safeway program will insure cats and dogs of all ages, including senior pets. The cost of covering a pet varies based on the pet’s breed, age and geographic location. Plans include coverage on hereditary, congenital, and breed-specific conditions. Safeway customers will find information available in the store’s pharmacy, or they can go online at http://www.prioritypetinsurance.com or by calling 1-855-508-7387. According to Packaged Facts, an independent market research company, PetFirst is the pioneer of introducing pet insurance through retail channels. With U.S. pet owners expected to spend $15.3 billion on veterinary care this year, pet insurance is a valuable financial tool for dog and cat owners. For more information on pet insurance through Safeway, visit http://www.prioritypetinsurance.com or call 1-855-508-7387. PetFirst is the fastest growing pet insurer in North America offering easy-to-understand lifelong coverage for dogs and cats. PetFirst’s comprehensive coverage is unique in the industry providing simplified policies with coverage for hereditary, chronic and breed-specific conditions with no per-diagnosis limits. PetFirst offers pet insurance in all 50 states and the District of Columbia through animal welfare agencies, retailers, employers as well as other partners. PetFirst polices are underwritten by American Alternative Insurance Corporation (Munich Re) which is rated by A.M. Best as A+. Additional services are underwritten by Lloyd’s. For more information about PetFirst pet insurance, visit http://www.petfirst.com or call 877-894-7387. The newest K-9 member of the Mount Pleasant Police Department, a German Shepherd/ Belgian Malinois mix named Brutus, will be serving and protecting a little safer thanks to the generosity of The MECA Foundation. Officer and K-9 handler Knierim, an 11 year veteran of the Mount Pleasant Police Department, and her new partner, Brutus, recently returned from a six week handling course in North Carolina. Brutus was trained in handler protection, suspect apprehension, locating illegal narcotics and tracking lost/missing people. “I would like to thank the MECA Foundation for donating a vest for my K-9 Brutus. It is very important for him to have this vest and we are grateful that the MECA Foundation has provided one so that Brutus can be kept safe out on the street”, said Officer Nicole Knierim, Brutus’ K-9 partner. Dr. Marla Lichtenberger DVM, DACVECC, founder of the MECA Foundation, has made it her mission to protect every police dog in the state of Wisconsin by providing these bullet and stab proof vests to K-9 officers. “K-9 officers are in the field protecting their community, as well as other officers. It is up to us to ensure they have the tools they need to be kept safe”, says Lichtenberger. The MECA Foundation, founded by Dr. Marla Lichtenberger, DVM, DACVECC is a non-profit organization dedicated to protecting every police dog in the state of Wisconsin with bullet resistant and stab proof vests. In addition, the MECA Foundation also assists Wisconsin police K-9 Units purchase police dogs by donating grants to Wisconsin k-9 Units. have joined forces to bring you our first Nose Work Summit. during Camp Dogwood Fall 2013. Camp Dogwood and For Your K9 are excited to be hosting our first Nose Work Summit. This event will take place at the Camp Dogwood facility during Fall Camp, which runs October 11-14. The Nose Work Summit will happen on both Friday and Saturday (Oct. 11 & 12) in Ingleside, Illinois at the Henry Horner Camp and Conference facility. Those who register to participate in the Nose Work Summit will also have access to the facility grounds (trails, beach, fields) on the day they select to attend. If you’ve never attended Camp Dogwood, this is a great chance to see what happens during a camp session while training in Nose Work. This is an amazing opportunity people who have dogs already on odor to enhance their Nose Work skills. Each dog/handler team will have four, 1.5 hour workshops in a Summit Day covering interior, exterior, container and vehicle hides. Four levels of experience will be offered, with workshop size being limited to 10 working teams per level in order to insure you and your dog ample opportunities for practice and instruction. *For those with no previous Nose Work experience (or whose dog is still on food) Camp Dogood will be offering Intro Nose Work classes as part of their regular Fall Camp schedule. DOGS MUST BE ON ODOR TO ENROLL IN THE SUMMIT! Auditing spots are also available. 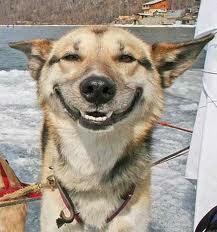 …Dogs should have passed their Odor Recognition Test (ORT) & have begun working all elements. …Dogs getting ready to compete in NW1 and/or have competed in NW1. …Teams should have passed their NW2 and/or have competed in NW2. • A chance to enjoy the beach or take a trail hike during workshop breaks. Interested to attend the Nose Work Summit? • Your opportunity to sign-up RIGHT NOW is just down below with our ONLINE REGISTRATION. you can CLICK HERE for a REGISTRATION FORM you can print and post mail to us..
American Bird Conservancy, bowing to a tidal wave of public opinion, has declared the Peep (Marshmallicious delicious) to be this year’s Easter bird of the week, and has further announced it is to be split into four bird species. The reselection of 2011’s choice was based on popular opinion. “I couldn’t fight it any longer. The time has come – it was a no brainer for me,” ABC President George Fenwick said. Peeps typically make their appearance in the springtime, with numbers peaking in April. Despite their ubiquitous distribution and social nature, their migratory paths, wintering, and breeding areas are little known. During their breeding season, Peeps can easily be found in suburban backyard habitats, where they lay clutches of colorful eggs in nests of brightly-colored plastic grasses. Adult and immature peeps can be quickly located by their sweet calls and neon plumage. Although Peeps are heavily consumed, their populations appear to quickly rebound in subsequent years and therefore they are not a species of conservation concern. Enjoy this popular harbinger of spring! DayCamp. This is by reservation only, so please make sure to call ahead. *Shared Accommodation spaces are subject to compatibility with campers already placed in these group-style rooms. And there are still availabilities for campers choosing to Tent Camp or stay off-site at nearby hotel. ACT NOW if you’re interested! Did you know that Camp Dogwood dropped the cost of our Daypass rates last year? Not as a ‘special’, not for a limited time, and not for any specific date or session! We’ve actually lowered the standard fee for a single daypass to camp to ONLY $135. That’s for either Saturday or Sunday at any session. Register to get Daypasses for both Saturday and Sunday and pay ONLY $125/day ($250 total!) There are still only a limited number of Daypass spaces made available to any camp session, but it’s the perfect way to come and see how your dog might enjoy a long-weekend at one of our future sessions. closes on Monday, September 26th. Act quickly if interested in attending camp! We hope your summer was a happy and heathy one! Give your pooches an extra squeeze and a big smootch tonight from Camp Dogwood (but you can let them think it was just from you). 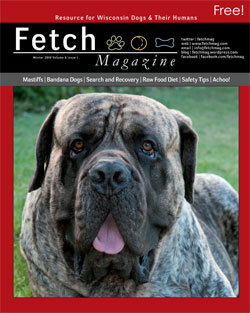 Fetch Magazine Winter Issue Is Out! Have you gotten your copy yet? If not, you can read it online! Click the link…. Denis on IT “MAY” BE THE BEST MONTH OF THE YEAR AT HAWS!